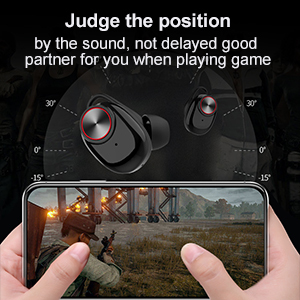 Arbily Bluetooth earbuds can judge the position when you play the game,help you to win. 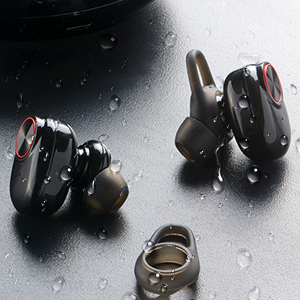 IPX6 waterproof and true wireless design, suitable for sweaty exercise in a gym or outdoor activities in rainy days, allows you to get rid of the limitations of the sporting environment and enrich your sporting experience. When you connect the phone,it will display the power on your phone and help you to Grasp battery information. 1. 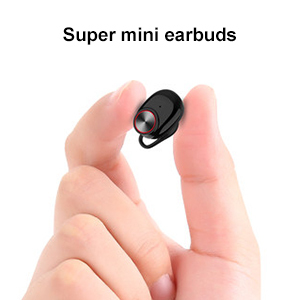 Press the two earbuds button at the same time about 3s until the led indicator flashes red and blue alternatively. 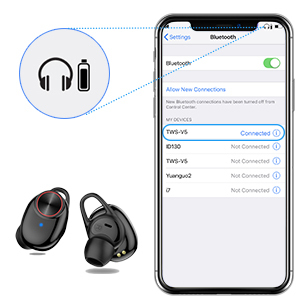 This is a process of pairing the left earbud and the right earbud. 2. 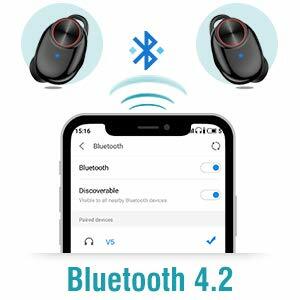 Turn on the Bluetooth on your device, search “V5” to connect. 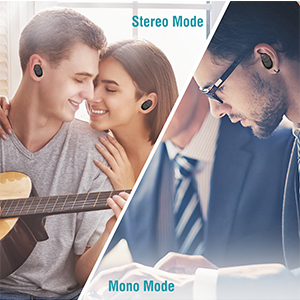 Stereo Mode: For binaural use, which allows you to enjoy music with stereo sound quality. 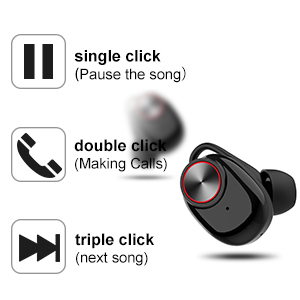 The single earbud is equipped with a 65mah large-capacity battery, allowing you to enjoy a 4-hour music experience. 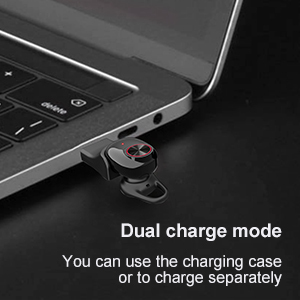 The compact and mini magnetic charging box design enables you to store your headphones safely and easily carry. 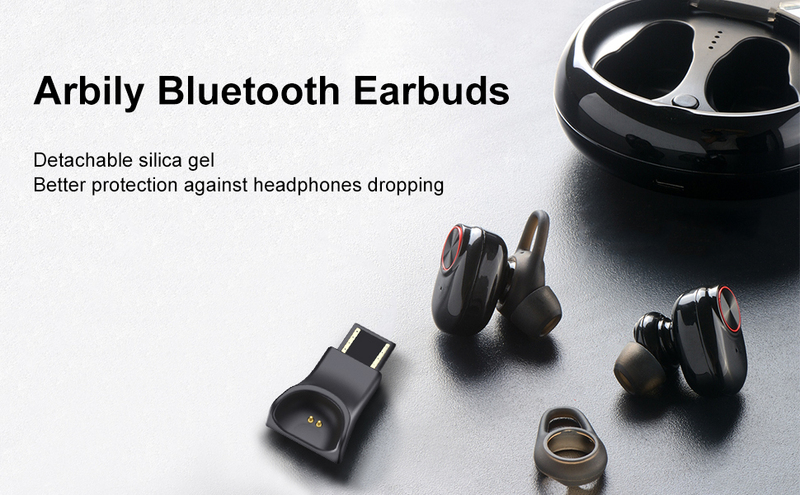 【ULTRA-LONG PLAY TIME】Best Bluetooth earbuds with charging case capacity 500mAH,Arbily Bluetooth earphones up to 5 hours play time,6 hours talk time and 300 hours standby time, Arbily Cordless earbuds supports 6 times to charge in the charging box for both mini bluetooth earbuds.True wireless bluetooth earphones in ear,Innovative three-point support scheme of cochlea with 3 pairs of ear caps create most comfortable wearing experience. 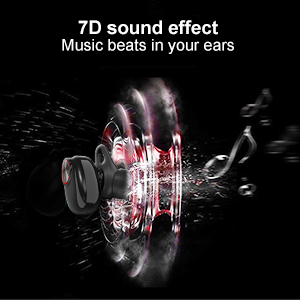 【SUPERIOR HI-FI 7D STEREO SOUND】Arbily wireless mini bluetooth earphones built-in 6mm large-aperture drivers and 2 HI-FI stereo,truely wireless earbuds using advanced audio processing technology, tuning by a professional engineer, the sound quality is more clear and natural and authentic sound with focus on powerful bass with well balanced mids to make bluetooth earpieces 7D sound and high sound quality. 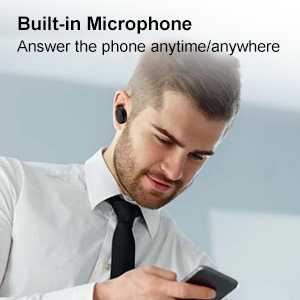 【BUILT-IN MIC&STABLE CONNECT】Arbily Bluetooth headsets Built-in microphones, Free to make phone calls anytime and anywhere(when you driving working and hiking).Bluetooth V4.2 ensures faster wireless paring, connecting speed (the range up to 15 meters) with multiple bluetooth devices,for Samsung compatible Iphone X/ 8 /7 and Android phone. 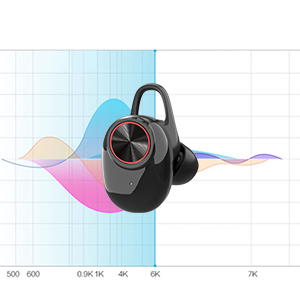 【TECHNICAL NOCIE REDUCTION&IPX6 WATERPROOF】Professional CVC 6.0 and DSP noise canceling technology can prevent external noise interference,environmental noise and echo,ensure the sound quality is clear when you listening to the music and calling.IPX6 waterproof protects the earbuds against rain and sweat,no longer worry about water will damage it! perfect for running, jogging, hiking, yoga, exercises, in gym,travelling and etc. 【FREE EXCHANGE FOR YOU】Arbily free exchange for you.Provides 30 Days money back guarantees, 6-Month worry-free warranty with considerate customer service makes your purchase risk-free. 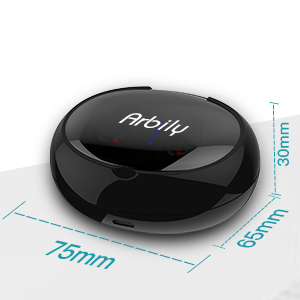 If you're not satisfied with the Bluetooth headset or have problem in using this Bluetooth earphone, please contact us for replacement or fully refund - no questions asked and no any risk.Arbily have a Professional customer service team,we can help you to solve every problem about the Bluetooth headphone in 24 h.